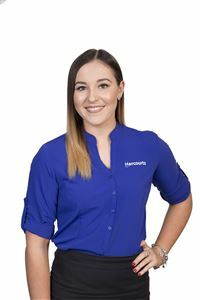 Olivia started working at Harcourts Redcliffe in September 2015, with a background of exceptional customer service skills and experience, Olivia has embraced her role as our office receptionist. Olivia is always willing to assist and go the extra mile for all of Harcourts Redcliffe clients. Since starting her role with us she has attended a number of Property Management training sessions and courses and her skills and knowledge of Property Management and Real Estate overall have increased immensely and with her enthusiasm and drive for improvement her skills will continue to grow.